Note by Ed. November 2015. Unfortunately this expedition could not go ahead in Australia due to issues related to fund-raising across the different states and territories in Australia – they all have separate regulations and we needed licenses in every one of them to raise much needed funds to complete such a huge task. But we will do it one day for our veterans. Quis Separabit. VIA is a registered UK charity who help those suffering the effects of war or who find the transition to civilian life difficult. Veterans In Action are in the process of planning an expedition which will be a 23,000 kilometer drive around Australia’s coastline using 4WD vehicles. The expedition we are planning for 2015 is in a sense an ‘ANZAC Expeditionary Force.’ It will be an extraordinary event that will help veterans from the UK, Australia and New Zealand to come together to commemorate those who suffered and fell in the wars where these Nations fought together side-by-side, and will raise funds for VIA, the RSL and RSA. In the true spirit of the ANZAC’s we aim to commemorate their unique tradition of ‘mateship’ and to help veterans who still suffer as a result of recent conflicts around the world. Two vehicles from each country with two crew members in each vehicle making a total of 12 Team Members. Two support vehicles with two Team Members in each vehicle making a total of 4 Team Members. This makes a total of 16 Permanent Team Members which will have to show a commitment to take part on a minimum of a five month expedition and will be made up of the 3 different nationalities. The intention is for team members to march as a separate contingent in the ANZAC Centenary Day Parade in Canberra on 25th April 2015. The team will drive off-road as much as possible throughout the expedition with each person involved taking turns of the driving element instructed by the VIA Team Members. Team members will also be bush camping at every opportunity and the VIA Team Leaders will be teaching different skills throughout. The aim of the expedition is to help those who take part learn from the environment and help rebuild their confidence, self-esteem and self-belief. The expedition is open to Veterans from the UK, Australia and New Zealand and those wanting to take part can apply to be a part of this ”Journey of Discovery’. It is our aim to put the team together a year before the expedition so that those taking part can go through a training program which will involve off-road driving, bush mechanics, bush-craft, first aid, bush cooking, navigation and many more skills. VIA are seeking corporate sponsors in Australia for the expedition and also companies or individuals who can lend or donate equipment such as 4WD vehicles, tents, camping gear, bush clothing, first aid supplies and GPS navigators. Click here to read more about the planned expedition, or click here to join the Group on Facebook. Please contact us if you are interested in joining the expedition or can help in any way. what a way to see Oz, its as near to the aboriginal “walk about” that us non-aboriginals can experience in a life time….go for it Tim. Hi Blue Norb! 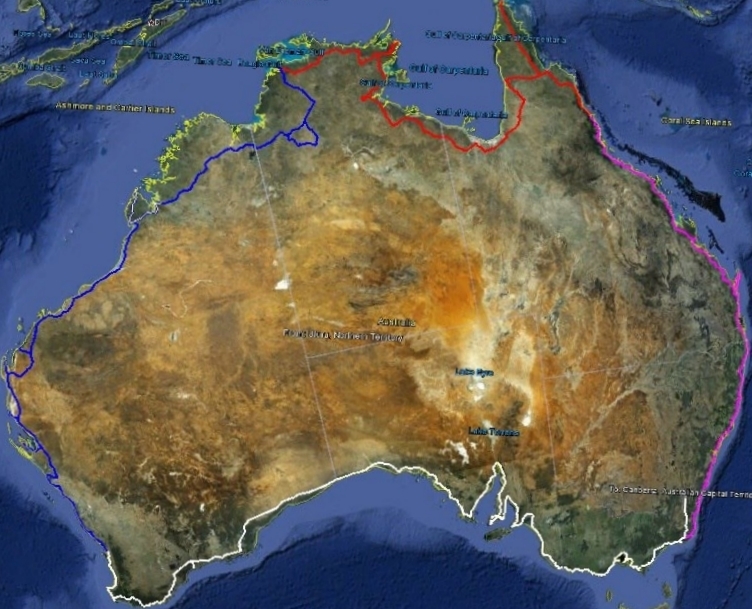 Yes, a fantastic adventure, 23,000 km around Oz which will take five months or more! There are four stages and I hope to do at least one of them!